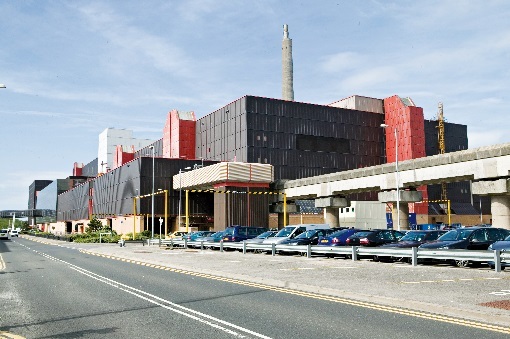 Some of UCLan’s nuclear research team (Prof H Eccles, Dr Alistair Holdsworth, Mr Daniel Rowbotham, Mr Parthiv Kavi, Dr Runjie Mao and Gyuhyeon Kim ) visited Sellafield site to see spent fuel reprocessing and nuclear waste management plants. After an introduction to Sellafield Ltd the team. visited the Thermal Oxide Reprocessing Plant (THORP), initially the receipt and storage area (Ponds) followed by the THORP management centre, which included an explanation of the Feed Pond, Head End, Shear cave, Basket Handling and Chemical Separation stages. Following lunch the team were escorted to the Magnox Encapsulation Plant and finally returned to Yottenfew Farm House for a roundup meeting before departure. It was for most of the team their first encounter with Sellafield, and all were impressed by the complexity, quality, engineering and safety standards. It was a very well worth visit that underpinned and put in to context the teams research activities.